Welcome to the world of the old-time medicine show. Magic, exotic acts, comedy, song and dance! The Medicine Show has the cure for what ails you! "My elixir has been used in Edmonton to keep away elephants." "But There are no elephants in Edmonton." Step right up and prepare to be amazed and mystified with exotic and exciting acts from the four corners of the world. Chris Bange (Sherlock Holmes) and Sharon Nowlan (Burlesque Unzipped) bring you back to a simpler time, where entertainment is a guarantee. 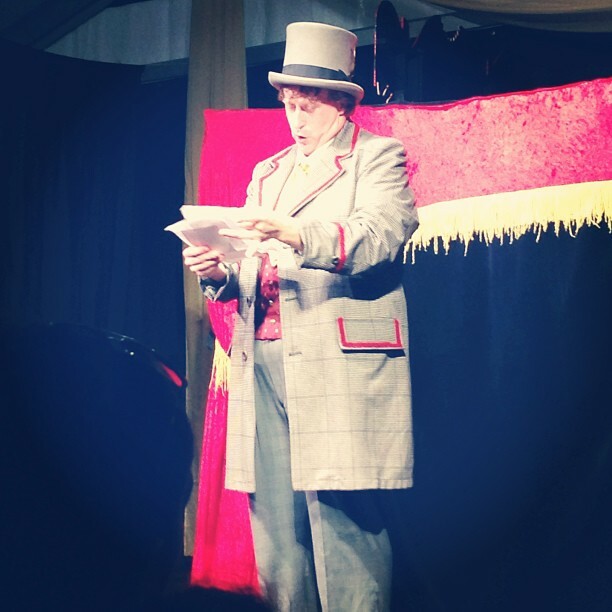 The Medicine Show…it’s good for what ails you! Book the Medicine Show for your event!